As an ERISA attorney for almost 19 years, I have seen a lot of strange things that plan sponsors have done to risk the ire of the Internal Revenue Service (IRS) and the Department of Labor (DOL). Many of these strange things could have resulted in plan disqualification and the agent from the IRS or DOL let it pass while I’ve seen plan sponsors make more innocent mistakes and pay through the nose. So sometimes it’s not what you do that counts, but the type of agent you get reviewing your mistake. 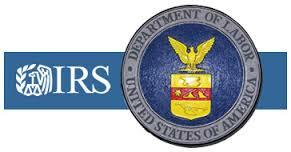 In 2001, I handled an IRS audit of a client when I was working with a third party administration (TPA) firm. The IRS agent reviewing the case notices that the owners of the company were taking out loans in excess of the $50,000 limit. That was a major error. A bigger error was the fact that these owners were shareholders of an S corporation and prior to 2002, they weren’t even allowed to take out loans. This was a major error that the prior TPA never caught. The punishment, the illicit loans were treated as taxable, deemed distributions and the company had to pay an excise tax for the value of the money loaned out to these owners. To this day, I am shocked that the agent didn’t want blood from a stone, because he was entitled to get it. On the flip side, I had a client being audited by an IRS agent. The matching contribution was misallocated because the TPA didn’t allocate it correctly, according to the terms of the plan document they drafted. If we added all the years under review, the error was probably less than $1,000. For some reason, the agent was reviewing this thing for months and demanding that the company pay some sort of penalty. In addition, a shareholder of the company who had no salary nor ever worked for the company was not listed as a highly compensated employee. The IRS agent demanded that this owner be listed as an employee even though he was not and his listing as a highly compensated employee would have helped the client in their discrimination testing. On the DOL end, I had a client who put in all their defined benefit plan money with a fellow by the name of Bernie Madoff. The client, for all purposes, had no investment advisor (since Bernie was busy, running other things) and no investment policy statement. The DOL agent got a promise from the client to make up all the benefits to the employees and that was that. On the flip side, an owner of a bankrupt business who was entitled to the bulk of the assets from a defined benefit plan was being sued by the DOL because the owner’s actuary failed to produce valuation reports and distribution forms for when the owner was receiving her benefit. While she certainly breached her fiduciary duty by not watching the actuary, this happens all the time when there is a terrible TPA. Was this worth a lawsuit? Not in my mind. Whether a plan sponsor gets their hands slapped or pay through the nose for plan errors and breaches of fiduciary duty may not depend on the offense, but the DOL or IRS agent reviewing the case. Sometimes, the plan sponsor’s fate depends on the luck of the draw.